What is the Big IDEA? IDEA campaign held a tree planting action with students under the slogan of "Young Tree For Young Spirit"
On December 8th IDEA brought together the students and members of youth organizations for tree planting action. The action took place on the field of "Greening Department 2" located on the 17th km of the highway from Heydar Aliyev Airport towards the city centre. More than 20 thousand of trees and decorative plants have been planted within the action. It should be noted that IDEA Campaign was initiated by the vice-president of Heydar Aliyev Foundation Mrs. Leyla Aliyeva and within the campaign it has been envisaged to plant more than 300 thousand trees until the UN conference "Rio+20 on Sustainable Development" to be held in June of 2012, in Rio de Janeiro, Brazil. Caucasus Cat Summit has been organized by IDEA Public Union on May 7, 2014 in Baku, Azerbaijan. The "No tree cutting" programme is carried out at the joint initiative of the Heydar Aliyev Foundation and IDEA Public Union. 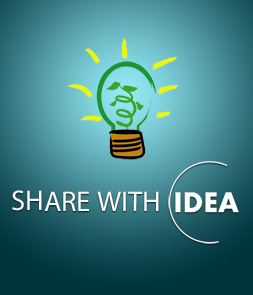 IDEA Projects - both local and international, are aimed at promoting public awareness of environmental issues and encouraging the public to take action.